No A/c, No Elec. Requested staff numerous times. asked agoda to cancel the rest of the days. Appreciate the owner agreed to it. There were both ups and downs with this hotel. The room was quite nice, comfy bed and working AC but the view was, like for all houses, towards the garden and not the beach.The basin and toilet were brand new, but the floor in the bathroom was need of a remake and there was no hot water. The breakfast was really awesome, the sunbeds and service down by the beach very nice and overall good prices in the restaurant/bar. The staff is friendly and let us have the room some extra hours before our trip home. One big downside was the hotel is lacking some of the services Agoda say that they have. There is no airport transfer, no daily cleaning, NOT family friendly (big parties Friday and Sunday all night long), no trips made available by the hotel. On other websites it states that the hotel has yoga and spa treatments (which agoda fortunately does not say) and this is untrue. The "yoga-area" is remade into a dance floor and there are no treatments available. All in all this is an ok hotel that needs some makeover. It is suitable for people who like to party, and not for people looking for a relaxing hotel. apart from cost I spent £300for 4 nights but only had 1 good nights sleep poor facilities or none,was told it was having a refurb it needs it ,staff kind but lacking a leader . I went there for my 1st anniversary and lamded in the evening of Holi. Must say they had a best party for holi . Though they only play trance & EDM here, the spirit of the festival is high with people of all nationalities. Decent food and on Morjim beach itself. Wifi didn't work, staff was creepy and kept lying about when it would get fixed, shower didn't work - whole place is falling apart and management is rude. We enjoyed very much- the location, food, staff, the room. The main problem was with electricity stops, though they have a generator it disturbed us. Our stay at this hotel was very relaxing and comfortable. The staff was extremely helpful. The best thing about this property is that it is on a quiter beach which is best for relaxing and also the back side of the hotel has a direct beach entry. The food is good. The rooms are kept neat and tidy. 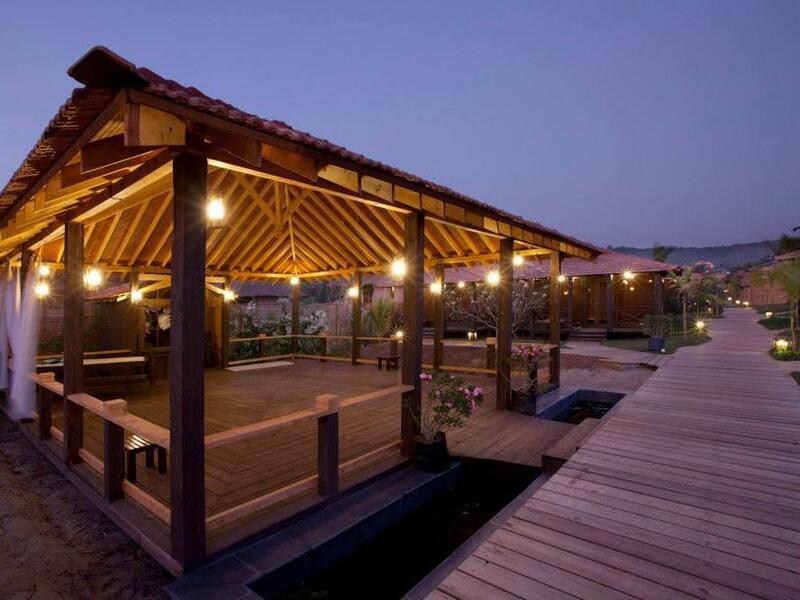 Overall a good property to stay in goa. Extremely relaxing weekend with easy access to the beach and surrounding restaurants. 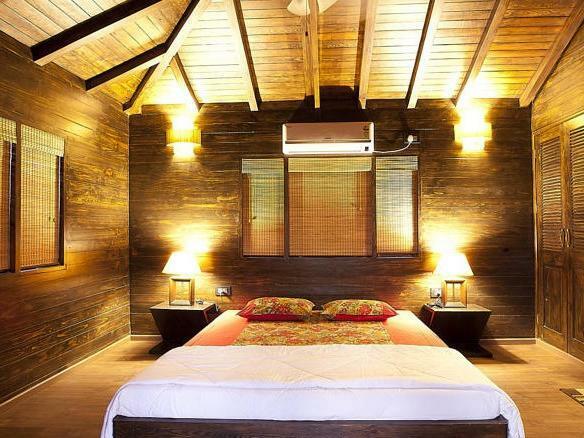 The Ecowood facilities offer everything what is needed for a enjoyable stay at the beach. Une véritable découverte d'une plage tout en activité entre les vagues pour s'amuser, les pécheurs, les ballades matinales à la découverte des gens, le coucher de soleil, la région et toutes la culture locale a découvrir en scooter (à louer a 300 roupies la journée soit 4,50 €)...le tout dans des cottages (seulement 11) magnifiquement située dans un lieu superbement entretenu (rare en Inde sauf dans des lieux selects). Ne pas oublier les superbes paillettes relaxantes de la plage, le restaurant et son excellent petit déjeuner local tout en fraicheur, et la carte très varié pour tous les autres repas...et enfin le personnel très convivial et attentionné que je vous invite à consulter pout toutes vos demandes. Bref, un lieu que je suis ravi d'avoir découvert pour finir notre voyage de noces après 15 jours de visite à travers le Nord de l'Inde et le Rajahastan, ON peut aussi bien ne rien faire du tout et prendre du plaisir, et visiter toute la région avec de lieux magiques et une ambiance hippie et vacances. Borde ha max 2 stjärnor, då det enda positiva är närheten till havet och bra mat. Allt annat HEMSKT! Smutsiga handdukar, solkigt överallt, slitet och nergånget, knappt något vatten i den iskalla duschen. Raveparty fredagar o söndagar på hotellet med mycket hög musik ända fram till klockan åtta på morgonen. Omöjligt att sova! Stranden lugn o fin. Besök gärna den, men välj annat hotell för övernattning. Vi lämnade hotellet två dygn tidigare än planerat - vi stod inte ut med skiten! Laut , scmutzig unhygenisch wir sind nach 1 Nacht geflüchtet . Es gibt weder ein Spa noch Joga . Beides wird im Agoda Angebot offeriert !.Von Luxusunterkünften keine Spur - das Gegenteil davon haben wir vorgefunden .Das Angebot ist ein klassischer Betrug . Nichts davon ist auch nur ansatzweise vor Ort zu finden . Das angebliche Hotel ist eine Discolocation bis 6.00 Früh infernalischer Lärm an schlafen nicht zu denken . Das Personal ungelernte Jugentliche . Service und Küche katastrophal .